Kurt Stifle and the Swing Shift Get the Word Out Aboutthe Pilgrims Guide to the River of Salvation and How It Leads to the Swampee! 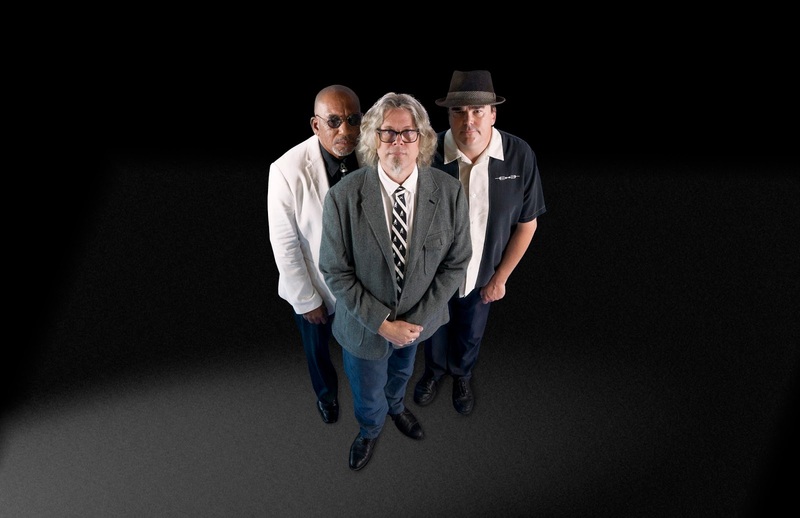 Kurt Stifle and the Swing Shift is a band for it's time, as they want to craft a sound for themselves, that draws from the past 60 years of pop music and then some. That said, they went on to release their latest works, in the form of a full-length album titled "Pilgrims' Guide to the River of Salvation". With that release came the newest single "Swampee" which has been making quite the buzz as of late. But while these releases have kept them in the lime light for sometime, all new music is currently in the works, with plans to bring their activity to the stage, with shows and touring to follow through. The band got together to discuss this album, single, and their future plans not that far away. 1. Let's start by getting our readers up to date on what the band has been up to so far this year. We're writing new songs and going back in the studio in April to work on a few new tracks. 2. "Swampee" is the band’s newest release and single, so tell me about it? 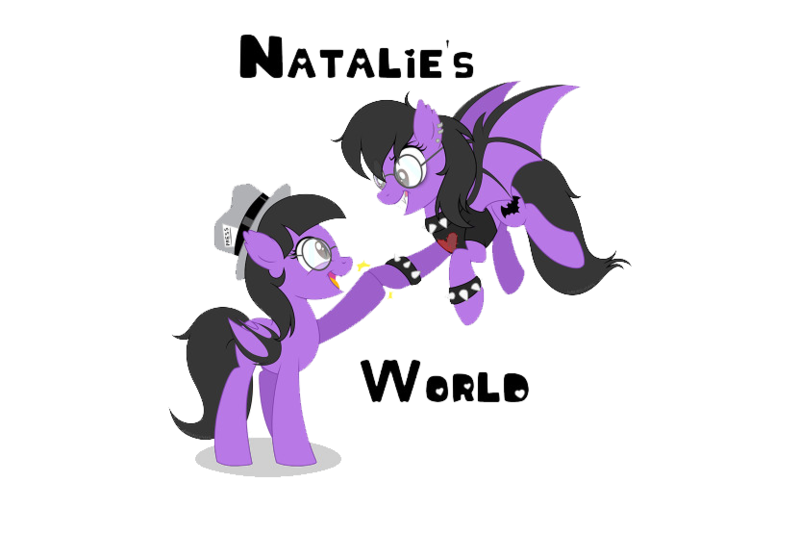 It's part of the "operetta dystonia". It's about bad luck, wishes and dreams coming true. It's like a children's fable with a morality lesson.They idea that there's some swamp monster hiding in the mud that can reach out and grab you by the ankle and throw you down. You better watch your step! 3. "Swampee" comes off the band's latest album "The Pilgrims' Guide to the River of Salvation", will this album have anymore tracks to be made into singles and or video releases? No more singles from "Pilgrim", since we're recording soon again. 4. Will the "Swampee" track have an accompanying video to follow suite with the single? A video for "Swampee" is in production now and it's gonna be fantastic!!!!! 5. What was the recording process like for "The Pilgrims' Guide to the River of Salvation"? It was very efficient, but spread out over about 18 months. Paul Roessler is very fast, and he's excellent to work with. We didn't play around much. We worked on each song in steps. It's a great way to work, and the results are amazing. No need to rush so you can make as many tweeks as needed. The record sounds really good. On vinyl and digital. 6. 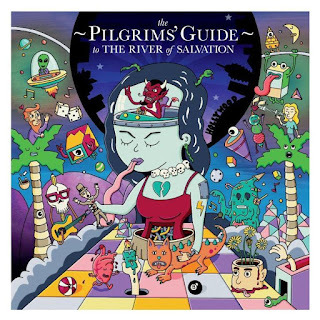 Can you briefly explain the title of your latest release "The Pilgrims' Guide to the River of Salvation" and give us an idea behind the concept of the album? The pursuit of fame/validation as a goal unto itself, and maybe the misguided actions people resort to in order to realize their "dream". I wrote 3 instrumentals as movie "soundtrack" music, so I thought I'd write an entire album as a music soundtrack with each song being a key scene in a movie. The first one was "Oh, Pilgrim" about somebody being baptized by the devil in the LA river next to the Farmer John Meat packing plant. A perversion of John the BaptistÉ Farmer John the pork processor. 7. How does the album's artwork fit into the concept and music found upon" The Pilgrims' Guide to the River of Salvation"? I gave Daniel Sulzburg, the illustrator, the mixes to album and let him come up with his own creative. I love seeing peoples differing interpretations of the songs. Daniel picked on a few visual cues of the tracks and just went with it. It's cool, and he's a fantastic illustrator. Check him out at http://www.danvillage.com/. 8. What can you tell us about the lyrical content for the album? I wrote all the lyrics based on differing charactersÉ like cartoon characters. 9. Would you say there were any particular musical influences in regards to this album's process as opposed to other influences when creating your music? On this album, the main musical influence was theatrical imagery. Writing show tunes to a theme, not just writing songs. So that way they all fit together. 10. How did the idea for this album come about? I just thought it would be fun to write a song about having a baptism in the LA river next to the Farmer John meat packing plant. Kinda went on from there. We're regrouping next month to start doing some shows. We're also going back in the studio in April to work on a few new tracks. 12. Is there anything else you would like to say to the future fans of Kurt Stifle and the Swing Shift? Yes, we will continue writing and recording as long as it's possible.